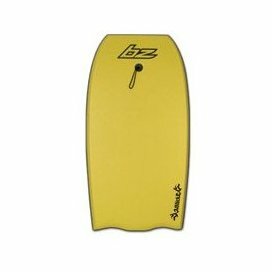 Bodyboard for larger riders and intermediates looking to advance their skills. 42.5-inch length, 22-inch width Strong, high-density PH core. Crescent tail helps lock the body in position. Channels help maintain control and provide increased speed in bigger surf.